BEATLE fans, this album is a MUST for your collection! The Most Unique BEATLE Tribute Album You'll Ever Hear! Your favorite songs by the BEATLES are here with an interesting Indian flavor. Powerful vocals, tablas and sitars ring out loud throughout this album. 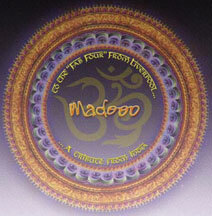 Arranged and performed by MADOOO (Madhu Dhas). 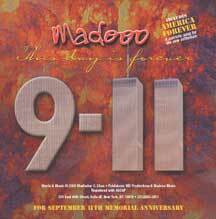 for remembrance and healing from the devastation caused by the events that occured on Sept 11, 2001. Written and performed by MADOOO (Madhukar Dhas) in Classic Rock style. Download the 4:39 minute version of "The 9/11 Memorial Song - This Day Is Forever"